Dandruff is a common scalp disorder affecting half of the postpubertal population of any ethnicity and both genders. It is just a skin problem which causes dry white flakes of dead skin which appear in the scalp. These sensations of itchiness can make a person uncomfortable to live and fall into the situation of embarrassment. As this condition didn’t spread from one person to another. In many situations it is also often noticeable from scalp when they fall on the shoulder then it appears usually. As dandruff can be range from mild to serve. It seems that it starts happening around puberty when a lot more oil is made by glands at the base of each hair. This oil holds the tiny flakes together to make bigger, more noticeable flakes. Boys get more oily hair than girls, and boys have dandruff more often than girls. The body skin continuously shed and replaced dead cells whereas new cells formed, it is also applied to the skin of your scalp. 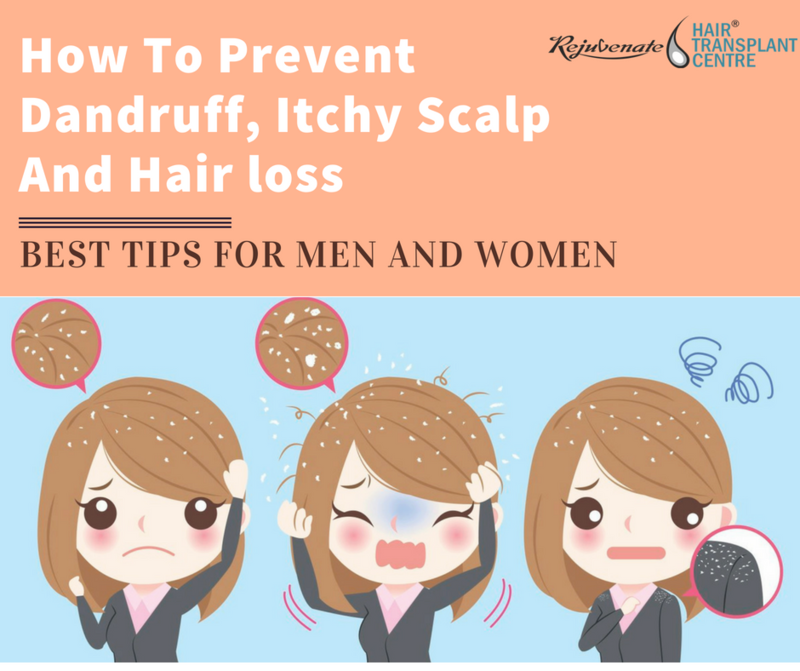 This process mainly goes unnoticed and it shows the process when there is an excessive amount of dead cells take a form of dandruff and Itchy scalp which leads to hair fall. The dead skin which presents on the scalp will get remove when you do shampoo or brush your hair. As it is usually going un-noticeable because you daily care your hair. As you need to know that our skin is covered with millions of micro-organisms. And our sweat and sebum usually protect the scalp from harmful bacteria. Not only one thing directly responsible for this problem but there are also different many underlying reasons such as illness, stress-related hair loss, diet and hormonal imbalance. Most people experience some degree of itchy feeling and dandruff during their life. The researcher does not know the exact cause of dandruff. It is still unknown. It is believed that when there is an overgrowth of a tiny fungus which always presents on the scalp, causes a problem and it started irritates the skin and also turn into hair fall. Many studies show some causes which are related to itchy scalp and dandruff. Below the list of reason responsible for hair fall, dandruff and baldness. Most cases of dandruff and Itchy scalp do not need a doctor’s visit. During the starting stage of dandruff, you can seek advice from your pharmacist who will provide you with an antidandruff shampoo. When your scalp is red, swollen or weepy. When having weak immune system due to having chemotherapy or having an HIV medication. A serve to build up flakes, serve redness cause discomfort and eventually, it may lead to hair loss. So in this extreme cases, you should treat you redness scalp by making an appointment with hair related doctor. Only a doctor can advise you the better treatment. If you have a mild to moderate flaky and/or itchy scalp, it’s a good idea to look at your diet and lifestyle. The condition of your scalp can often be improved by making simple changes. Try to restrict dairy products for a few weeks as dairy can exacerbate flaking and eczema. Also, cut back on foods rich in salt, ‘bad fats’ and sugar. Taking time out for yoga, meditation, general relaxation and fitness can help manage stress. Often do Shampoo in hair if you have an oily hair. Save your daily hair washing until after your exercise workout. Limit use of hair styling products that can make your hair and scalp more oily. If your scalp is dry, use a hair conditioner which will act as a moisturizer for your scalp. Try a ‘leave-in’ conditioner. Avoid using hair gels and other products that contain alcohol, which tends to dry out the scalp. Learn and practice relaxation techniques to manage stress. Eat regular, healthy meals, including plenty of fruit, vegetables, and grains. Limit foods high in fat, sugar or salt.